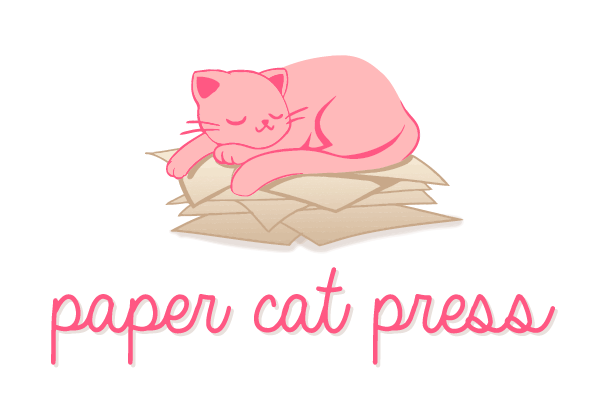 After a long delay, Paper Cat Press is proud to announce their first Creator Interview! Thank you to Jacques Nyemb for answering my questions and telling us more about Not So Super Comics and the work you do as a comic writer, publisher, marketer, full time designer, and parent. Listen or follow along using the transcripts below. I sincerely apologize for the recording quality. I have much to learn about editing and recording software. Thank you for your patience. Facebook – Not So Super Labs! LEANNA: Okay, so, today, well what got us started talking was you mentioned that you wanted to talk about the balance between work and your family life and how you’re keeping it all together and going and keeping your schedule straight, which for me it seems like it would be such a hard task. I’m always so impressed when anyone is parenting and then also going to work and pursuing some other type of goal on top of that. JACQUES: Yeah, I started saying that because a lot of my peers – I have other peers who do the same thing that I’m doing and who also noticed that a lot of – you know, a lot of creatives and – I was guilty of this when I first started myself, too – was feeling like there’s never enough time to do anything. JACQUES: And sometimes in life it turns into a crutch, it turns into this thing, like, “Well, I don’t have time and I can’t do anything,” and not move forward and try to figure out a way to create a schedule or discipline to be able to do the things that you want to do. JACQUES: I’m not gonna lie and say that I’m good at it 100% of the time. I fail probably 80% of the time. JACQUES: The 30% that I’m able to get things done are – that’s when the good things that I’m capable of doing end up being, you know, realized. JACQUES: But, you know, as you mentioned earlier, I have a day job. I work in the morning, I’m married. I have a wonderful wife who has a weird schedule because she’s an operating room nurse. LEANNA: And long hours too, right? JACQUES: Yeah, yeah, 12 hour shifts and weekends. So she works Monday and Saturday and Sunday, 12 hour shifts. JACQUES: So that means I’m with the kids on the weekend and at night when she has some shifts and sometimes with the kids, we kinda – we’re with the kids all the time, but you know, there’s more responsibility on the weekends for me. And during the weekdays and at night I can do some things, but I have that on top of trying to stay creative on top of making sure the kids are okay and don’t feel robbed of me, spending all my time on my computer. JACQUES: I have that and reminding myself, you know, I have things I wanna do myself with my life. JACQUES: So with all of that mixed together, what I‘ve realized is number 1, not to beat myself over the head that I can’t do everything. That’s an important thing that we all need to do from time to time and realize that sometimes some of the things we want to do, as ambitious as they are, we sometimes have to sit back and look at it and see, hey, you know, this is, it’s a good thing. It’s good that I want to get this thing done, but if it doesn’t happen, it’s not really the end of the world, you know, especially having my wife being an OR nurse and every day telling me how close she is, that somebody was about to die at her job. I’m kinda like, I don’t have a job where I have to fear about people dying. And my creativity is a fantastic thing and I want to continue to cultivate it and grow it, but at the end of the day, you know, I want to be sane. I don’t want to constantly put myself in the kind of pressure that makes me feel like I need to give up and quit every single time. JACQUES: I need to step away, return, step away and return. JACQUES: I do that a whole lot of times. Sometimes I’m gone for a two week stint and then I come back and I go back and work on something. Or sometimes I work nonstop for like five months on something and then I take a break for two months because I’m like, it’s hitting a point where it’s becoming insane and I can’t keep control of it. LEANNA: Because it’s really important to keep that positivity in mind, too, because otherwise how are you going to manage your life? How are you going to be the father that you want to be or the husband you want to be and do a good job still at your day job? LEANNA: I mean you have to have that balance. JACQUES: And it’s forced balance. Like when it comes to my day job, I need it in order to sustain my interests. JACQUES: I have to be on point for that. JACQUES: My kids are very important to me. I love them. JACQUES: I want them to be happy. I want them to be strong, young women that grow up and be happy and secure in themselves and what they do and that can only happen if i’m involved, you know? So that’s another piece I can’t just shirk away. My wife is very important to me and we’ve been together for a very long time. JACQUES: And our lives, you know- I want her to be happy. I want her to be able to do what she wants to do in her life as well as us as a family. But I have to – they are important and I love my creativity and I love my ability to do things and I will never kill it, but I do manage it. I manage my impulses to want to work all the time and I guess having them in my life is what tempered me to schedule more, to be more intentional in my time that I spend creating and promoting. JACQUES: Because I know that they are like they’re very important pieces of my life and I need to schedule my life accordingly. So that’s so I’m able to create and also able to be the person that they need me to be. LEANNA: For sure. It sounds like that would be really necessary because otherwise, yeah, it would just become a jumble. JACQUES: And also please stop me if I start going on because I can talk for a long time. LEANNA: No, it’s okay! I’m really glad because I am not always the best talker so it’s really great if you have a lot to share. JACQUES: I don’t know what happened because I never liked talking, but all of a sudden I started changing. I don’t know what’s going on! LEANNA: It’s different too, like for me when I’m talking about creative things I get a lot more interested, involved. I could also go on more when it has to do with that but then we’re also talking about the things that you’re doing so that’s probably part of it as well. LEANNA: And you’re definitely passionate about what you do and you know everything that you’re involved in your life so it makes sense that you would want to share about that. LEANNA: So I downloaded the Smorgasbord Squad and I read that and it was super cute. Um, I kind of got the feeling that it’s more, like, um, not kids-only but, like something kids can read. Is that something you focus on in your Not So Super Comics or did that just happen that way with that story? LEANNA: Yeah, that’s the hard part. But I really like stories like that, where it seems like it’s so simple and then it turns out that it’s not but then it’s also something that anyone can access, like um, like a big example I guess you could say is like Steven Universe. Like it’s something that kids enjoy and adults enjoy and it has things that anyone can relate to. JACQUES: I agree, and that’s kinda – it kinda inspired – so much of the pieces that inspired me to wanna keep moving this route because that’s, you know, as I said in previous interviews, my goal is not really to get the comic book fans. I’m trying to get people who don’t usually read comics. JACQUES: That’s been really intentional for me because a lot of people that I come across don’t know they are comic fans and they have in their mind that a comic is a man or woman in scantily-clad tights saving people’s lives and that’s what all comic books are about. And you know, I constantly, constantly get new people interested by just saying, “they’re just stories and there’s a variety of different stories and the different ways that it’s told.” You have the benefit of having art with it and just trying to open people’s eyes to it and it’s, you know, the comic fans will come in later because they’ll be like, how in the world did I miss the opportunity to read this book, and this person who never read a comic book knows what this is about? So my aim has always been to get people who don’t read it to be interested, and those who are comic fans, that come to the conventions, they already are primed to whether or not what they like or they already have a taste of what they want. And you know, I know how to get their attention, but I really aim to get the ones that don’t read it. LEANNA: I think that’s a good goal to have. I don’t know a lot about American comics because I grew up reading manga, Japanese comics, and so I’m used to having that wide variety of story. And a lot of the time when I go to American comics, or at least mainstream ones, I see the superhero stories that I can’t really relate to. And so I’ve found things that I can relate to a lot in the indie scene, and so going to indie comic conventions and then seeing the things people produce themselves, at a much smaller scale, um, I’ve always found that super inspiring and amazing. I’m like, why aren’t people reading this more? Like this is the stuff that I think people would love. When I say I love comics that’s totally the type of book that I mean. JACQUES: And I think one of the things my peers sometimes mess up is that they really are trying to – they are making themselves competition to Marvel and DC when they are a class of their own. JACQUES: And that’s where – your best stuff is when you try to compare yourself to groups of people or an organization that has multi-million dollar budgets to do their marketing, you’re never going to win. So be yourself, be unique to yourself, and constantly cater to the people that you want to. And it won’t be – you may not make the money or may not make the thing at the speed you want, but if you’re steady with it, and you’re consistent, you will – you could make a living out of it. You could enjoy it and you can grow it into being what you want. You just gotta be patient. It’s a game of patience. LEANNA: Because comics themselves take so much time, it’s all a patience game. So you’re also a publisher. Can you tell me what that involves, briefly, as far as your company goes? LEANNA: Ah. That one that you shared for free like a week or so ago? Oh, I really loved that story. LEANNA: Um, it really meant a lot to me so I shared it again this morning, and I want more people to see it. I haven’t read the whole collection of the books yet but I really need to, honestly. JACQUES: There’s a lot of very good st- I mean a lot of different stories in there and I worked with a bunch of very talented artists. Seven different artists worked with me. One of my roles as a publisher is: I hire artists to really pretty much illustrate the stories that I’ve written. I pay them, I make sure they’re paid for the work that they do, I crowdfund, I do all the marketing, I do all the sales, I do all of the promoting and everything related to that as a publisher. My current model is: I get artists, I get their input with the stories that I create. I don’t just make a story and have the expectation that the artist will magically make what I have in my head and just be perfect. I have a relationship with my artists of, “What do you want? What are you trying to gain from this experience?” I look at their past, I look at the work that they can produce, and I’m trying to create stories that will keep them interested and wanting to work and sharpen their skills. A lot of the compliments I get for the books that we create is that people think we’re like a large publishing company. But really what it takes to retain someone to want to be interested is: one – pay them, number two – make sure you give them content that is interesting and worth their time, you know? LEANNA: I could not agree more, I’m like – sitting here in my chair nodding and nodding and smiling. I have a friend that I’ve been working with. We’ve been friends for a while and it’s been awhile since we worked on stories together but we’re starting again and she’s an amazing writer but there is always back and forth. We communicate and I feel like it really helps the story, that communication is so important, and like you – yeah, you have to respect your artists in order to have them eager to work for you and excited about the work they’re doing. JACQUES: Exactly. My philosophy is a win-win-win situation. I want artists to be happy, I want to be happy writing it and working with the artist, and I want the readers at the end to enjoy what they read. So if an artist is not feeling what I – I always, you know, I’m not one of these people who have my script under NDA and “you cannot touch it.” I do all the heavy lifting before I approach an artist so I pretty much know the art that they do, I know their schedule, I see what they post in terms of their warm up sketches and all this, so I know who I’m approaching when I approach them. So by the time I get to them I already know my story’s going to work because I know the art they do, I know what they enjoy. The only thing that is always a weird factor for me is I don’t know if my budget will be enough because I am indie, I don’t have a ton of money so but I do pay and sadly even my meager amount is still better than what Marvel and DC pay their artists which is sad, incredibly sad. LEANNA: I’ve seen some of the reports on the payscales and it’s a bit disappointing. JACQUES: It is! It is incredibly disappointing. And I guess I care more because I do graphic design. Graphic design is my background and I’ve been doing print production and design stuff, which is another part of what I do as a publisher. I design the books, send them to the printer, I do all that stuff because it’s in my background and I enjoy publishing and designing things. So that’s part of what I do as well. But the reason why I care so much is because, being a freelancer, I had to deal with people always trying to stiff me. JACQUES: I understand! You know, people, artists, when I approach them I’m very open and direct because I know how that feeling is when somebody’s just like a vulture. LEANNA: -they have their guards up. LEANNA: Especially if someone’s been wronged before or you know it’s a common experience, then you have to really approach them as patiently and pleasantly as possible. JACQUES: As a publisher I really enjoy doing this. I enjoy working with different people, I enjoy the collaboration, because in my head I may think one thing and an artist knocks it out of the park and it’s better than anything I ever thought. So I like that freedom, allowing someone the freedom to do what they believe is right, knowing their skill – I hire them because I trust their skills – so if they do something they believe is right, not how I intend, I haven’t been disappointed yet. When an artist took liberty with something and checked with me and said, “you know, I thought this was better,” nine times out of ten I approved it because it was a better choice than mine. LEANNA: Which is also really great to hear. I think a lot of the time writers, or maybe publishers as well, they cling to what to have and they’re like no, you can’t change this, this is the way it is. I think collaboration really allows you to see a different perspective or allow someone else with a different type of expertise to express that. LEANNA: And in a way that’ll serve the story. JACQUES: I couldn’t agree more. LEANNA: You send things to a printer, so you outsource, not print at home? JACQUES: Yeah, outsource. With everything I mentioned earlier that happens in my life, doing things myself is not in the equation of things that I’m capable of or have time to do. So I outsource everything to printers that are in the US or nearby that I know the printing will be done quickly and efficiently and I can communicate quickly with the people. But yeah I eventually would like to bring that in house someday, but right now I send it out. LEANNA: Yeah, I think that’s a lot easier. I think when you have a busy life it’s better to outsource and to delegate as much as you can. JACQUES: And it’s actually cheaper for me. JACQUES: Because a lot of people nickle and dime themselves trying to do things at home, but sometimes when you start looking at how much the printer ink costs and all of this you end up finding out it was cheaper just sending this to the printer and have it back in two days. LEANNA: I have a friend right now who is researching printers and looking at the costs and it is very disappointing and upsetting. Like, oh, it still costs – I’m only paying ten cents more to go get it printed somewhere else and I know that they’re going to take care of the quality, and then I don’t have to stress about it and replace things on my own dime. I could just print as I need it. JACQUES: Exactly. And that’s kinda – especially now that I found so many printers that do short runs and small print runs and everything, I mean, I don’t have to have a thousand in my house, but having 25 copies with me at all times is a good idea in case I’m somewhere and to be able to have a book for someone at any moment. LEANNA: Do you do anything with ISBNs? Do you send your books to libraries or do you just do conventions? JACQUES: Right now I’m in the part of my publishing career in which I am focusing on creating content as well as getting my name out there through social media through to convention visits to one on one experiences trying to get people. I have two – Smorgasbord Squad and Not So Super, just the first three books and whole Not So Super and I wanna complete those books because they’re the ones that got me where I am now and I have a lot of fans waiting in the wind,waiting for those books to be completed, so I’m trying to complete those. So I don’t wanna go into the ISBN route when these books aren’t done yet, so I’m kinda holding back. But it’s definitely part of the plan in the next year or so once the flagship books are completed. I want to get them in libraries. I am working right now with a good friend of mine who’s been getting my books in Amazon, the digital version, and Amazon and also digital versions in libraries. JACQUES: Accessible digitally for free but in libraries I don’t have the printed versions with ISBNS and everything ready for it to be in physical shops. JACQUES: Exactly! It’s definitely part of the plan, the big picture plan, and I’m already starting some of it now but if you go on Amazon you can find the books available digitally, other than Humanescent. That one I haven’t submitted it yet to be everywhere because I’m thinking I might actually get an ISBN for that one right now since it’s a complete piece but it’s definitely part of my plans. LEANNA: Anything else you’d like to talk about that maybe we didn’t bring up that you think is important to share? JACQUES: The one thing when I’m on things like this, when people are listening to something that I’m doing and the projects I’m working on, one thing I like to always say is, I don’t care where you are or what you’re doing, whatever your ambitions are creatively, do something and do something every day. Doesn’t matter what it is, doesn’t matter if it’s not the big picture of what you wanted to do, and doesn’t look the way you want to, do something. Every little bit that you do to move forward ends up magnifying as time progresses. I started Not So Super with zero friends on social media. I was freelancing and I quit my job because I wanted to freelance and the first year was pretty good. And then the recession hit. JACQUES: Prior to that my wife and I were trying to have kids and we had doctors and everything saying we can’t have kids everything’s blah blah blah… So we were sitting there, one year in, I’m freelancing, everything’s looking like it’s scary because of the recession – we find out our oldest was on the way. JACQUES: So that popping up but in a recession and not a lot of jobs popping in and it was the scariest moment of my life because for the first time ever it was tough because my wife and I could be like, yeah, we could sleep in the car if we need to. With a baby, you start thinking, ‘oh no, we can’t do that, we gotta change how we’re thinking a little bit.’ And you know, I was hunting for jobs, I was trying to make everything work, you know, trying to get things moving because my wife – I didn’t add this – she was in school at the time. JACQUES: So our whole life was just – it was just a crazy period right there. But that was the moment that I decided to start doing comics and while all of that was happening, that’s when I said, you know what? There’s certain things I can’t change. I can’t make a job come to me. Even though I applied to… the total was 79 jobs I applied to during the recession, and ten callbacks and two callbacks of callbacks before I finally got a job. And that took a whole year of trying before I got to that point, and I was just freelancing and doing odd jobs, finding another job here, that was the moment I decided to do work on comics and the reason why was I told myself that I will never blame my child for the reason why I never did something creative in my life. In that moment, I said, “I will use this moment where I can’t find a job, when no job is hiring me, I’m going to use this moment where freelancing is kinda going down, to write. And just write these things in my head, and I don’t know where they’re going to go, I don’t know what is going to happen to them, but I can at least write a script. That doesn’t cost me money.” So I wrote scripts and as I was writing those scripts I finally got a job, and then when I finally got that job I had a little bit of money, and I was like, “I’m just gonna save a little bit here and there just to save so that I can pay an artist to actually to do this properly because I didn’t want to nickle and dime myself by trying to get someone and try to pretend like I’m gonna pay them and then they quit mid-project. I didn’t want all those headaches, so I just saved up money, I offered my amount, I got my first artist down, I wrote my first book – and that was the course of three years before it hit a point where the book was actually done, but after that first book was done it was easier to make more books. I kept making more friends and I kept finding people online that found things interesting and I kept having conversations with people like I’m having a conversation with you right now. You know, the thing I did was “do it” and that was what made me be why I’m here. I could’ve easily given up, I had every reason to give up when I started, but I chose to make that moment be the moment I actually do something. So my advice to anyone listening to this is, do something. Like, start and do whatever it is your ideas – whatever it is, even if it’s getting a notebook, outline what you wanna do, do the parts that you can do, before you start pursuing the things that will paralyze you with fear. LEANNA: Definitely. I think, like you said, sometimes you have to put it into little tiny pieces. I think a lot of people, myself included, get so overwhelmed by the big picture that it’s really hard to think, like, you know what? I can make an outline. I can cross one thing off that list. I can do it and it might take me days, months, years, but I can do it and to say that I can’t is to limit myself and to keep myself stuck where I’m at. JACQUES: Exactly, exactly. Any progress is progress. LEANNA: I saw a link for that but I didn’t – on your feed but I didn’t watch it yet so I’m gonna have to look into that. I started listening to your chat that you did last night, so I’m like “oh, I’ll watch that later,” but tell me more about that. I would love to hear more. JACQUES: Oh yeah! Right now what you were seeing when you click on Youtube is a 30 second test reel. Just a test because of assembling the team. Right now we have a very solid team of very talented artists and a sound guy named Nick, and I don’t know if you know Kayla Miller? LEANNA: Yes! I follow her. JACQUES: She is the character designer, the that does all of the art directing and the storyboarding and everything for this animated piece. JACQUES: But I have Kelsey Goldych, she does all of the animation, and James Nelson is doing the background art for that, and this is just a great team of artists and animators who are working together to help me make this animation about a young lady who’s a computer programmer who’s given a computer that she fixes up and she turns it on. She finds out that it was created to find viruses internally so when she boots up – and it uses a floppy disk, so the show is called Floppy Bot. JACQUES: So she put it in and whenever she gets in, she finds viruses inside a computer. But it explores that aspect of it, and some retrofilling things to it, but it also is for her life as a college student and what she’s living and life, and in a way that makes it very interesting and fun and just have a Sci-Fi/Steven Universe feel to it. It’s a young woman of color in the STEM field and kind of adding something that just makes it very interesting, that people will want to watch more and want to learn more about. So we’re working very hard on that and I just look forward to us getting to a point where we can actually get it crowdfunded so we can make a good 30 minute something that people will want to watch and turn that into, maybe, our dream is to pitch it to Netflix. That’s what we’re aiming for, but we’ll see. LEANNA: This – I mean, it sounds like a really exciting project so I’m going to keep my eye open on that. LEANNA: It sounds really cute and fun. JACQUES: Thank you! I surround myself with very good, very talented people, and they are working well, and they are very good at what they do so it’s exciting. We have opportunities for other artists to jump on board and I’m trying to make this a paid thing, so that’s why I’m working hard to try to get the base of it working so that we can turn it into a project that is that everyone gains something from. LEANNA: Oh for sure, it sounds really interesting so I look forward to sharing more about that. I’m going to go watch the 30 second thing that’s on Youtube right now. JACQUES: Everyone did a fantastic job, I could not be prouder. I assembled everyone and Kayla helped. I asked Kayla to be part of it, she was excited, and then she helped me as we were finding people that we wanted to work with and the team we have is phenomenal. LEANNA: Oh good, yeah. It really helps to have that community and to know other people because then you can give each other work. You can give work to your friends or people that you trust that you know do a good job. JACQUES: Exactly. That’s what Not So Super is about. I’m trying to do a little more than just take people’s money, I’m trying to grow a community. If you are on Facebook or anybody who’s listening to this is on Facebook, I have a group called Not So Super Labs! and in there is 205 creatives and fans of our comics and people who actually are industry people or people who are very good at what they do as independent comic creators, and they’re in there constantly helping people, answering questions, helping out. I typically come in from time to time and post a random tip of something that I’ve learned, a personalized tip so that people can, you know, know what really is happening behind the scenes, I try not to hide how the process works. And then, you know, other people are trying to do the same can learn. So if you go to Not So Super Labs! with an exclamation point at the end on Facebook you’ll find me. Anyone that joins, I vet people who come in because I don’t want it to turn into a self promo group like a lot of other groups turn into. But if you’re an artist and a person who wants to learn, you can ask questions anytime, a couple of people always pop up. We have some pretty big names in there which – I won’t say their names, but they’re looking and sometimes they open their mouth and they some things and people are wowed and not knowing they’re in the group, but it’s a really good group of people, so anyone that’s interested, please join that. I’m always available to answer questions. One thing I hated when I started this was not being able to find people who would answer my questions, so I know how annoying that is and so I try to be there for people when they need me. LEANNA: Yeah, I think that transparency, and then – I mean, people only have so much time, but the willingness to answer questions and to have a conversation are so important, like – it’s obviously not appropriate to demand it, but I don’t think it’s too much of a burden to offer it when you’re available to do so. JACQUES: And it’s all in the approach. When somebody comes to my inbox demanding me to do things for them and they don’t know me then that creates a different environment. LEANNA: I mean that courtesy is super important. Do you have other links that you want to share with people or projects? JACQUES: There’s my website notsosupercomics.com, you can find me there. I have the first three books that I have, I’m going to add more books later. You can find me i’m also on Instagram as notsosupercomics, you can find me there as that. I show all of my, all of the stuff that we’re making, all the different products and I also share my convention pictures. Whenever I go to a convention I try to take a few pictures. JACQUES: You could find you can also find me on twitter as nsscomics is my handle, or my direct and personal handle is jnyemb, that is my personal handle. I already mentioned the Facebook group, Not So Super Labs, you can find me there, and I also have a Facebook page, Not So Super Comics, that you can find me there, and I also am on Facebook as JNLovescomics. I think that’s my whatever handle thing, but anyone can add me, but I do vet because some people are just – I add them and then ten seconds later I end up getting a Kickstarter request and then I have to take you out. LEANNA: That’s a bit uncomfortable. LEANNA: I’m really not sure why people think that’s okay. LEANNA: Like yeah, it kinda blows my mind, but it does happen, but thankfully not every time. JACQUES: Give it some time and it starts happening every time. LEANNA: Let things happen naturally. JACQUES: Exactly. But those are all the sites you can find me on. LEANNA: I really like the NotSoSuperComics.com website – yeah, I was checking out your press page and you have everything listed there, and it all looks so clean and professional – I really like it. JACQUES: Thank you. That’s part of my career, I do web and graphics so I try to do that, translate that into my work. JACQUES: Other than that that’s all I have for this conversation. LEANNA: Well, thanks for being my first interview! JACQUES: No problem, this was good. JACQUES: You should do more! You need to make more interviews because you made this very easy. LEANNA: Oh great! Yeah, I really just want to hear other people talk about their experience, so thank you for doing that. JACQUES: No problem at all. And if you ever need me to come back I’ll be more than happy to. LEANNA: Okay. Thank you so much! LEANNA: Alright. Have a good day then. JACQUES: You too. Thanks again! LEANNA: No problem. Thank you!